Automation: RentalGuardian.com offers unparalleled software integration through a modern, real-time API, which Bookerville has integrated with. What does this mean? It means that new policies, whether mandatory or guest-optional, are automatically posted to RentalGuardian.com for you, and the documents are automatically sent to the guest. There is no paperwork for you or the guest to deal with - the software does it for you! Competitive: RentalGuardian.com's prices and coverage terms offer a value that can't be beat elsewhere. If you'd like to poke around at what products RentalGuardian.com offers, you can browse their page here: Accidental Rental Damage Protection. If you're ready to get started, contact us for details, and we will introduce you to one of RentalGuardian.com's expert account representatives. They can show you what products will best suit your needs, and what options there are for offering these to your guests. That's all you have to do - RentalGuardian.com and Bookerville will take care of the rest and you'll be all set. I went through the process... they are not interested in you if you are small. I submitted my two units and was refused by their underwriters because I only have two units. You might want to inquire how many units you have to have to use their service. At this time, this product is not yet being offered to managers with fewer than 10 properties. We are hopeful this policy will change in the future. We are sorry for the inconvenience. Any plans to incorporate a rental insurance that caters to those of us with a few rentals? Guests are choosing to book with me ok VRBO since we have that option. Is there an option in your software to add this as an option for guests if you want to self insure? 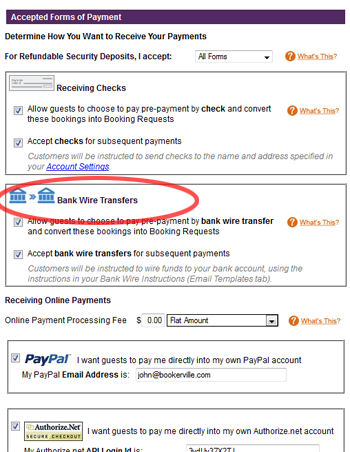 Frank-4916 - yes, you can easily set up what we call a Guest Option in the Property Setup page. You can make it whatever you like, and priced however you like. You can also make it mandatory if you want to force them to buy it. I reached out to Rental Guardian and they currently do take single property owners. How do I integrate this to Bookerville once the agent and I have discussed options? 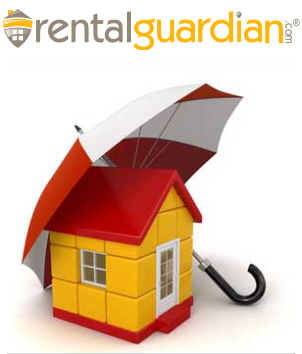 Rental Guardian also indicates that they can offer travel insurance. Is that a feature that Bookerville owners use and offer to guests? Interesting. Wonder when that occurred... I would be interested as well. LCBR I believe it happened very recently. They are offering in under their Protection Brands branch. It is specifically for owners with 1 to 10 properties. Very good news, and yes Travel Insurance is also something that can be integrated into the Guest Options of Bookerville. We set it up for you once your Rental Guardian account has been established. Let me know when you get the final email, which should have your API key and the relevant product info., and we will set things up for you in Bookerville. Thanks for the heads up! Can you send me a contact person? Broken link John and the other form I was able to locate doesn't let you submit unless you have 10 properties. Yes, and actually there are some other minimums as well, like # of bookings per year, and I think even revenue volume. I wish it weren't so, but it's Rental Guardian's policy. John does their new protection brands use the BV integrations??? Hi LCBR - I don't know the answer to the question about how many properties, and what volumes you have to hit for them to cover you, each property manager will have to reach out and ask Rental Guardian. Their new plans should integrate with Bookerville the same way, yes. If you're like most vacation rental managers, you're probably listing your properties on multiple listing sites, and maybe also advertising in multiple locations, including your own website. Most of these venues will send you an email when inquiries occur, and these all end up in your mailbox. Especially in your busiest seasons, this can get overwhelming very quickly, and can result in dropped inquiries, accidentally responding more than once, and even double-booking. Not good! It's great having multiple sources for your sales leads, and let's face it: you want a lot of inquiries, so that's a good problem to have. But relying on the dashboard of individual listing sites won't work. For one thing, it will force you to sign in and learn the user interface for each one. And more importantly, each one is only going to show you your inquiries for that one listing site, and it won't show you if the requested dates overlap or conflict with inquiries from other sources. 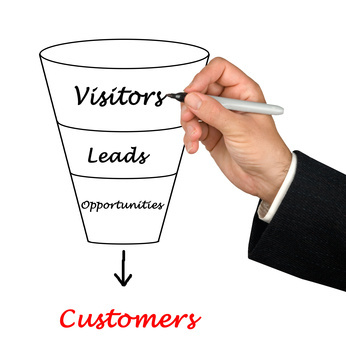 What you need is a consolidated view of all your leads. One tool that shows you all your inquiries from multiple sources in a single dashboard that is easy to use, and allows you to manage them by creating bookings (or booking requests), sending quotes, allowing guests to confirm, agree to contracts or terms, and collect pre-payments if required. It should also allow you to mark certain leads as closed and sort them out of your view to simplify your workflow. And how great would it be if in addition to tracking and managing all your leads, it could optionally integrate with an email auto-responder? Responding immediately to guest leads is crucial to maximizing your conversion rate, as every listing site is constantly reminding you. A refined auto-responder is just the tool to do that for you, and Bookerville's Auto-Responder may just be the best in the industry. With powerful lead-management tools, using a modern, easy-to-use user interface, and integrated with a customizable auto-responder boasting years of experience built into it, this world-class automation will enable you to scale your business to larger numbers of vacation properties, resulting in more revenue for you. Our Auto-Responder also works with your property-by-property decision on whether you want to enable guests to book themselves online, or instead make requests that must be approved by you first. It will change the language depending on your preferences to deliver the optimal message. The auto-responder can also show guests other available properties in your account if the one they're inquiring about is not available for their selected dates. Even better: Bookerville's lead-management tool and auto-responder - like all the features we offer - can be tried full-tilt, completely cost and obligation-free. You can even configure it to respond only to you so that you can see what it would send to the guests before turning it loose on them. Get started now: Free Trial. This is exactly what I need! How do I go about trying this out?